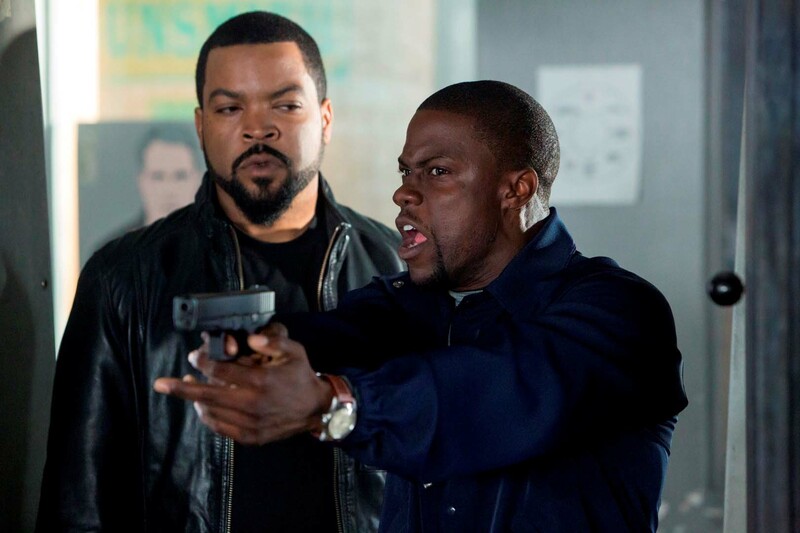 Kevin Hart and Ice Cube team up for the latest buddy cop comedy to hit the big screen. But can the Tim Story-directed Ride Along (12A) thrill British audiences? What’s It About? Ben Barber (Kevin Hart) is an Atlanta high-school security guard whose aim in life is to become a real cop and get married to his beautiful girlfriend, Angela (Tika Sumpter). The pair are in love, but Ben struggles to gain the approval of her detective older brother, James (Ice Cube). Ben plans to win over James and earn his future brother-in-law’s respect by joining the Atlanta Police Academy. However, James has his own plan to make Ben turn away from life as a policeman and make his sister realise she can do better: he invites Ben to spend the day with him on a police ride along. 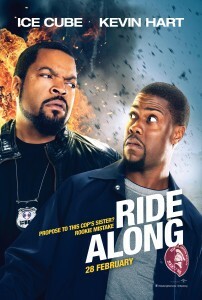 Verdict: Movie fans know exactly what to expect from buddy cop flicks and Ride Along delivers on all fronts: two leads with a love-hate relationship stumbling through various hilarious scenarios before coming together as one united force to stop the bad guy. What helps make Ride Along that bit different is the fact Kevin Hart’s character is so earnest in his attempt to win approval from Ice Cube’s stern police detective that it makes his failures all the more funny. 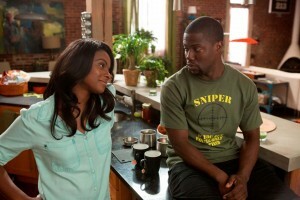 Oh, and, of course, the fact it stars Kevin Hart! The past few years have seen Hart become THE black comedian of the moment. Not only is he dominating the box office, he also just completed a hugely successful stand-up tour and even has his own faux-reality TV show on BET. He really is unstoppable, and if you’re a Hart fan then this film is sure to please. In a smart move, director Tim Story gives Hart free reign to do his usual OTT, mile-a-minute comedy delivery, while the rest of the cast go along with the Hart flow. Ice Cube doesn’t have to push himself too hard in the familiar tough guy role we’ve come to associate with him, but then he does it so well he doesn’t need to. As we drive from one scenario to another, it’s not hard to figure out what will happen, but thanks to Hart’s mastery of physical comedy and spot-on delivery, you certainly won’t mind going along for this ride. Final Words: At a time when awards season heavy-hitters have been dominating the big screen, this brilliant buddy cop comedy provides some very welcome light-hearted fun. Just sit back and enjoy Kevin Hart doing what Kevin Hart does best. Then look forward to the already-confirmed Ride Along 2! Ride Along is in UK cinemas from 28 February 2014.